Yesterday I talked about temptation. The primary point was that Contentment is the antidote for temptation. 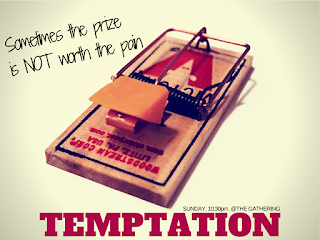 One idea I didn't get to talk about (time constraints) was the role discipline plays in our battle against temptation. "discipline yourself for the purpose of godliness." Those who follow Christ should discipline themselves for the pursuit of godliness. These habits are God-centered disciplines. They are not me-centered. Our aim should not be self-centered but God-centered and Christ-exalting. When discipline becomes a measure of "how I am doing," it is no longer a spiritual discipline. 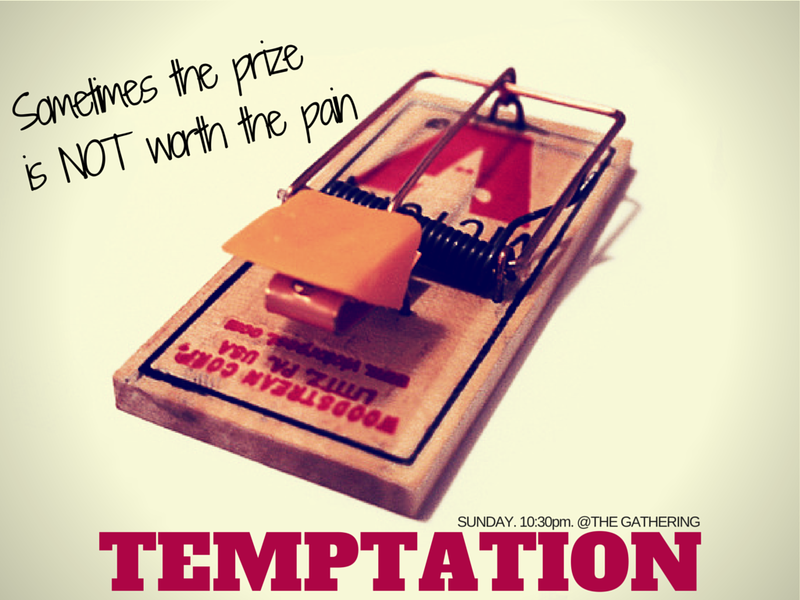 The more we focus on honoring God and becoming Christ-like, the more victory we will have over temptation. Below are three "spiritual disciplines" I would recommend to every Christian. These not only aid you in walking the path of life, they will provide the training you need to resist temptation when the time comes. If we are to "discipline [ourselves] for the purpose of godliness" we have to know the God of Godliness. The way in which we know God is by His Word. He has given us direct information about His holiness, love, wrath, grace, mercy, patience, etc. If we are to know God and what it looks like to live in obedience to Him - we must read and study the Word. This morning I'm waiting expectantly for an email from my bank. I hope it will give me instructions to help me solve a problem I've had with the on-line portal I use. Until I receive this email, I can't take any more steps to solve the problem. I don't have to wait for anything from God. He has spoken, and He has given me everything I need to live for Him. The message God already sent is the Bible - the full and complete Words of God to us. If we are to be disciplined for the purpose of godliness we must read and study the Word. Why does Paul start by saying "do not be anxious about anything?" If we are pouring everything out to God in prayer (and trusting Him to hear), there is no need for anxiety. The open channel to communicate our needs, desires, fears and praises to the God of the universe should calm our deepest anxieties - and God has invited, actually, commanded that we pray. The natural response to the above should be service. As believers we are a body or a family of people. We were not saved by God to live in isolation. We are meant to be in relationships with each other. In the context of these relationships, we have the opportunity to serve. "As each has received a gift, use it to serve one another, as good stewards of God's varied grace: whoever speaks, as one who speaks oracles of God; whoever serves, as one who serves by the strength that God supplies-in order that in everything God may be glorified through Jesus Christ. To him belong glory and dominion forever and ever." New Christian or old Christian, it doesn't matter - you have gifts to use. If your intent is to "discipline yourself for the purpose of godliness," then you must be good stewards of God's grace by using what He has given you to serve Him by serving others. Contentment is the antidote to temptation. Contentment is cultivated by discipline. Commit yourself to the discipline spiritual habits which will enable your growth and empower you to resist temptation.